Inneholder èn sjablong i seks deler, som brukes til maskering av henholdsvis stemplet motiv eller området rundt. Brukes sammen med Altenew Angelique Motifs Stamp Set. Mål ca 15 x 15 cm (6" x 6"). 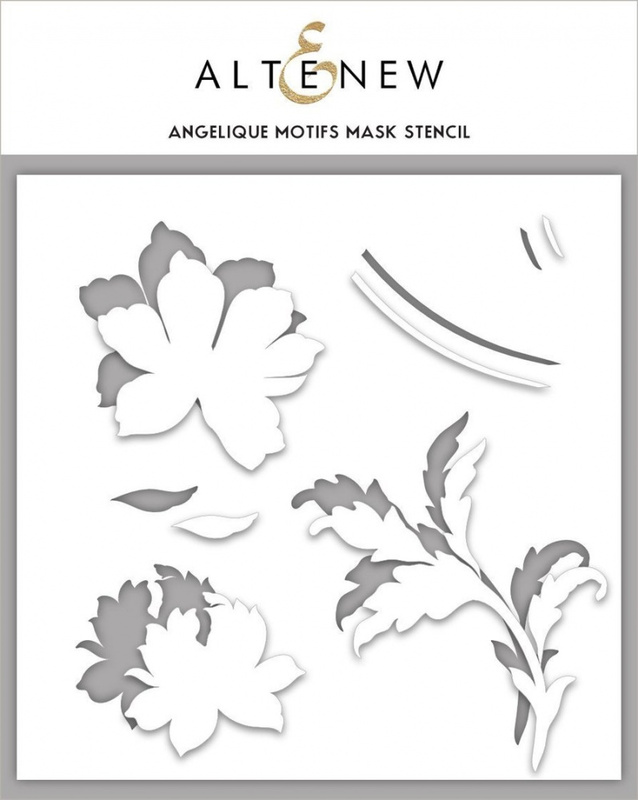 This mask stencil coordinates with our Angelique Motifs Stamp Set. It has 6 mask pieces which can be used to cover their corresponding stamped images. You may use our glue tape or any other repositionable adhesive to keep these in place while you stamp over them.